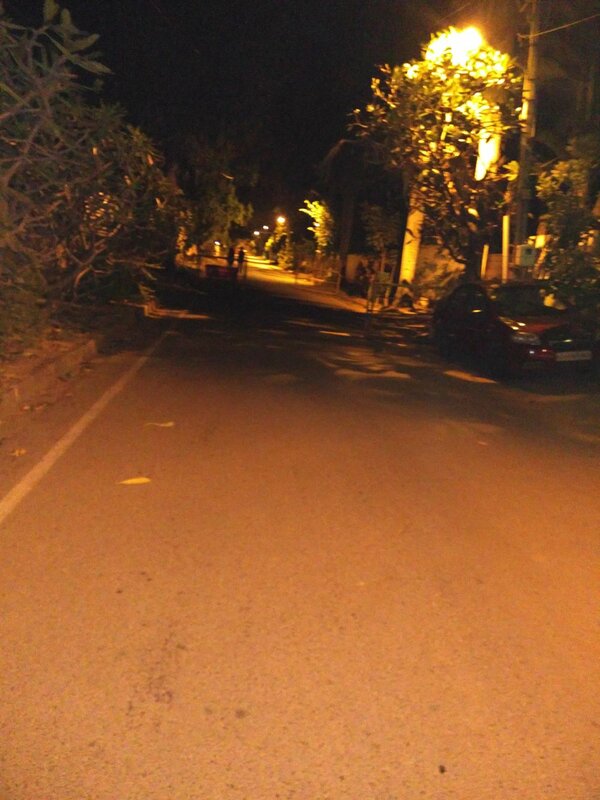 I walked in Koramangala area of Bangalore, India, on the main road, on the inner roads, on the roads with street lights (for the selfies), and on the roads without. Why you ask? Well, just because I wanted to. This wasn't the first time I walked alone after dark, but it was the first time I roamed around on the streets without a purpose. I wasn't scared, but I wasn't cautious as well this time around. I didn't keep my eyes and ears open to be ready for some unknown danger. I had my headset on, blasting music into my ears, and I roamed around singing, dancing, walking, jumping, doing a spin once in a while. I passed a few late night chai shops on my way, mainly crowded by men with a few girls around, who had come out with their male companions. Most of them looked at me with an inquisitive curiousity, I guess they were trying to decipher in their head, what I was upto and it made me laugh, which I guess made them even more curious. I felt no fear. I felt happy, I felt sad (Arijit Singh's songs always make me cry) and I felt liberated.